Leave your seat back up. Your comfort is not more important than the person behind you! This is a pretty serious pet peave of mine. 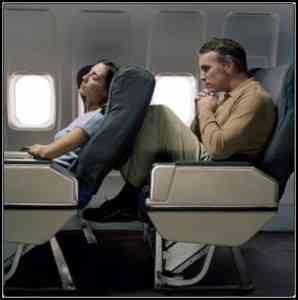 I know the seats are built to recline. Just because you CAN doesn’t mean you SHOULD. I have been behind people who put their seat back into my lap and then lean forward to work the whole time. This eliminates my ability to move, work or do anything else. So not just in airplanes, but in life…look around. Pay attention. Be aware of the people around you. Sometimes a small sacrifice in your own comfort will make a big difference in someone else’s. Those little sacrifices are worth it, and they don’t cost you much at all.